The first and foremost aspect to track in any business is cost. It doesn’t matter what kind of business you run or what its size is, at the end of the day you need to aware of what your expenses are and how much they amount to. 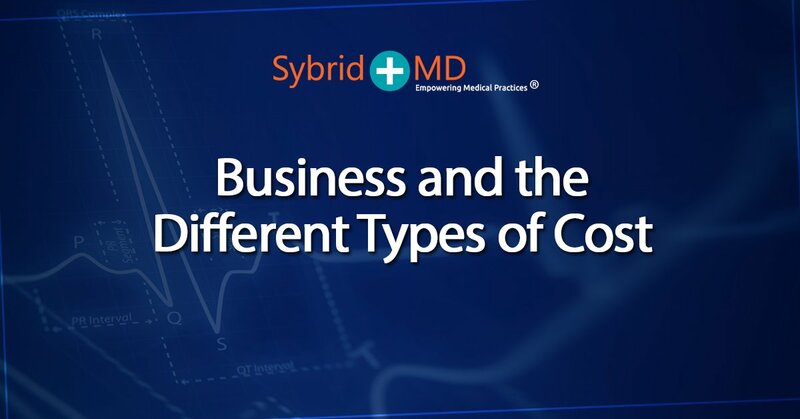 In medical fields, professionals can sometimes be unaware of what the exact costs are and what terms are used to express them. Below you will see these different types outlined and described to benefit your understanding. First, we’ll cover fixed cost. When a cost is ‘fixed’, it is an expense that must be paid regardless of productivity/output. These costs are the baseline costs that have to be paid by the business or entity consistently and regularly. This is to say that, the number of patients admitted to or treated at your hospital make no difference to these expenses as you’re required to pay them anyway. A few simple examples of fixed costs are listed below. Another important expense to be aware of is the variable cost. By nature, these costs are the exact opposite of fixed costs. This can be observed in two ways; first, as indicated by its name, these expenses are not set and in fact vary. Secondly, these costs are subject to changes based on your productivity. So, in this case the number of patients admitted to the hospital are important to note when calculating this expense. When looking to save more money, any firm or health organisation will undoubtedly cut variable costs for the sake of reducing spending. Some examples of these costs can be found below. In general terms, direct costs refer to any and all expenses that directly affect the production process. In health economics this would be costs that directly impact patient care. For convenience these are divided into direct medical and non-medical costs. Examples of both are below. To determine your exact costs, you can employ one of two approaches. You can decide which you think is best based on preference or practical considerations. The first method is to make use of a sturdy accounting system. Here, you need your office manager and accountant to join you in guaranteeing its installation is carried out as efficiently as possible. However, this method tends to be expensive. While it is a great convenience, it’s not fiscally possible for all medical practices. The second method is to collect copies of all relevant cost or expense reports in addition to productivity reports for same time periods. Once you have compiled data that traces back at least a few months, you can easily make a graph in programs like MS Excel. This method is free however it is more time consuming and only gives you a general idea of your costs, not an exact amount.